I don't understand eReaders. I mean, I do in that they're cool gadgets. You can slip a reader into your purse and take it wherever you go, making the reading process a bit more accessible. But seriously-- is a standard paperback that much bigger and cumbersome? As a writer, this digital world terrifies me. I want to be able to live the dream that I had as a little girl and write books that people go to the bookstore to buy! I want my writing to be a part of someone's collection. On a bookshelf! As a reader, I want to touch and smell the paper. I want to always have access to yellowing pages and even paper-cuts! I want to pull a book out of my stuffed purse and engage in that slight struggle of holding a book open while laying out at the beach. So yeah, I get that eReaders are a practical alternative for our world of on-the-go people, but I will never get over the desire to experience books. There is nothing better than real paper !!! It may be convenient to have an e reader , but nothing like the real thing !! I used to feel the same way, and I still prefer printed books for the same reasons that you listed. But I got an Kindle for Christmas, and though it's something I never thought I'd buy for myself, I like it. I don't feel like the joy of reading is gone because I'm reading on a screen. The words are the same and still just as powerful, and that's what really matters in the end! I love the smell of books and how full my giant bookshelf is, but--my giant bookshelf's full. If I wanted more books, I'd probably have to make a huge library room in my house somewhere! Line the walls completely with shelves. Ahh, I'd love that, but I don't have the money for it! What I love about my nook isn't having a book with me all the time--it's having an entire year's worth of collection (and counting) AND a Barnes and Noble store in my pocket. If I go to my boyfriend's house for the night and bring one book and I finish it in a bout of insomnia at 3am, I'm screwed! But if I bring my nook, I can either go back and re-read something I loved or buy something brand-new without waking him up, without going to the store, without carrying 3 or 4 actual books with me at all times. Sure, it can't make me a hot chocolate like Barnes and Noble can, but it's close enough! Hey Jen...I'm with you on the 'feel' of a 'real' book...and I definately agree that books should never disappear altogether. And I do not think that they ever will. As with art and drawing, computers and newfangled gadgets help make it EASIER to enjoy our favurite pastimes...but there just is no substitute for the feel of a pencil and sheet of clean paper in one's hand. Reading a 'real' book and drawing/painting on a sheet of paper are just so freeing to all the senses. May they always be a part of our lives. And....unlike a paperback book, it will lay flat so that I can set it down in front of me while eating lunch and read away. 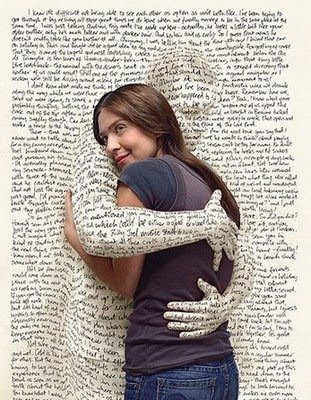 I never had a huge attachment to the actual "book"...I always thought them cumbersome...I just like to read the words. I have seen only positives from my Kindle, not a single loss. I couldn't agree with you more!! I can understand the convenience of e readers for traveling....and I mean long distance traveling. The kind where you can go through two or three books that you don't want to lug around. But....give me paper any other time! !